Polycentric hinge allows controlled range of motion with easy to adjust pin stops. Flexion/extension adjustments can be made in increments of 7.5°. 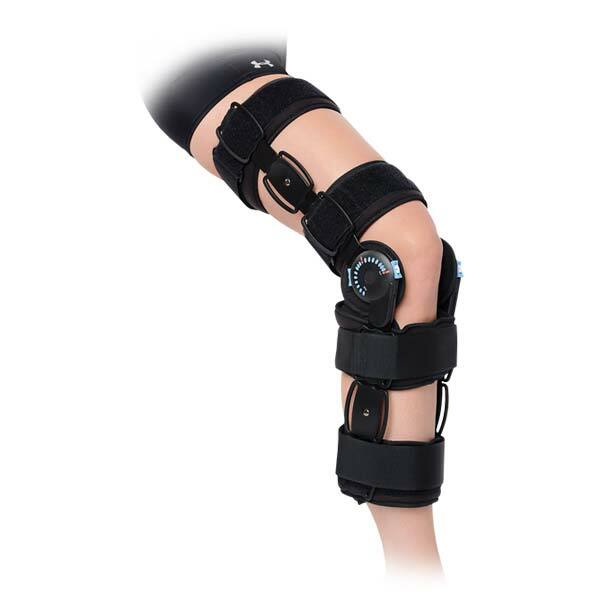 Calf and thigh plates conform to the leg with locking closure straps to help prevent brace migration. Universal brace is easy. Drop-lock style.